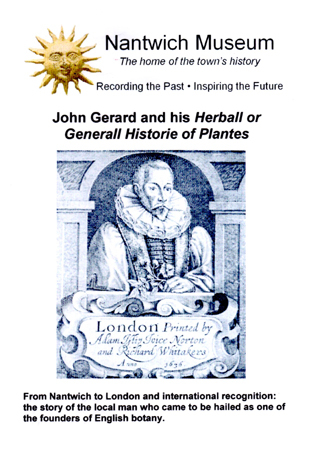 I THOUGHT I knew all there was to know about Townsend House, which once stood in Welsh Row, Nantwich, including a walled garden, and John Gerard, the Nantwich-born herbalist who wrote a famous "Herball or Generall Historie of Plantes" which can still be bought in various forms (search for these on the Internet). But when I bought two of many fact-filled booklets produced by Nantwich Museum I began to fill some gaps in my knowledge. The booklets, pictured here, were written by Museum volunteers with a particular knowledge and a keen sense of historical facts. Some are members or volunteers of the museum, or are members of Nantwich Walled Garden Society, or both. As is usual with publications, other people with a knowledge of the subjects of the booklets are acknowledged for facts and images they have supplied. I won't go into what the booklets contain here, but simply recommend that you obtain copies from the museum in Pillory Street. They are good value for money given the information they contain. And I would not be surprised if you leave the museum with copies of other booklets available on the shelves of the museum shop. 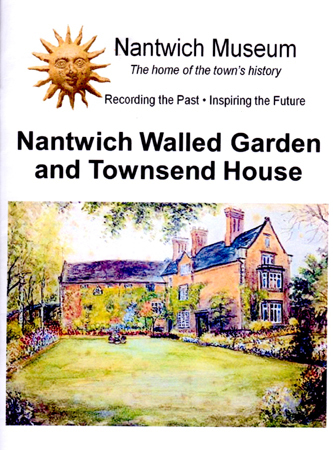 The walled garden and Townsend House booklet costs £3.95 and the John Gerard one £2.95.